I’m speaking from a place of bias (and experience) but Dublin is genuinely the best city to be tipsy in. There are plenty of things to do in Dublin but if you’re planning on partaking in a constitutional or two, I’ve compiled a handy little guide to how you should spend your tipsy evening. Easily one of the historical highlights of Dublin City, yes really, the Gravedigger Ghost Bus is the first thing I recommend heartily to tipsy folk out for the night. Several actors ‘in character’ (always) recount the horrors of plague time Dublin, hilariously. With six aptly chosen stops, including a complimentary swift one in The Gravediggers Pub, the tour takes just over two hours of learning, laughter and frights. Not one I’d recommend for the faint of heart - there are high jinks and high squeals aplenty - but with a little Dutch courage you might just make it through the evening. For 10 years now Ukiyo has been providing an outlet for patrons that can’t resist the urge to belt out a tune, while merry. Below the Japanese and Korean restaurant are three soundproofed ‘booths’ for 10 to 20 people to get their drunken warble on. Ever welcoming, Ukiyo provide the musical inspiration in a selection of five languages ( English, Japanese, Korean, Chinese and Spanish). Open all day, every day (Afternoon Delight, anyone?) and with over 40,000 songs to choose from, singing your heart out while sloshed has never been so much fun. Ukiyo Karaoke Bar, Exchequer St, Dublin 1. €25 per hours for up to 10 people. €50 per hour for 15-20 people. There’s not much appetising about the thoughts of the food lying about in an ‘All You Can Eat’ restaurant but once there’s been a few drinks taken, all bets are off. Jimmy Chung’s offers over 20 starters, 40 main courses and freshly made desserts in their buffet style restaurant - enough to satiate the most ravenous reveller amongst your party. Whether used for soakage before your night on the tiles or hangover damage control afterward, there’s sure to be something amongst the walls of food to fill up bellies on the beer. Get there, eat your fill and get out, there’s plenty more shenanigans to be had in Dublin before last call. Jimmy Chung’s All You Can Eat Buffet, 8 Eden Quay, Dublin 1 - €13.90 Weekdays. €15.90 Weekends. 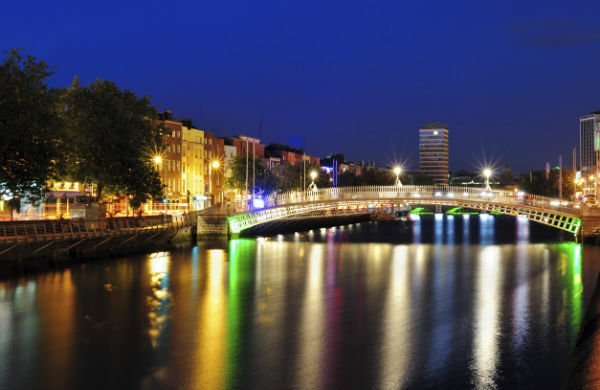 Get up to more shenanigans with our deals for things to do in Dublin.